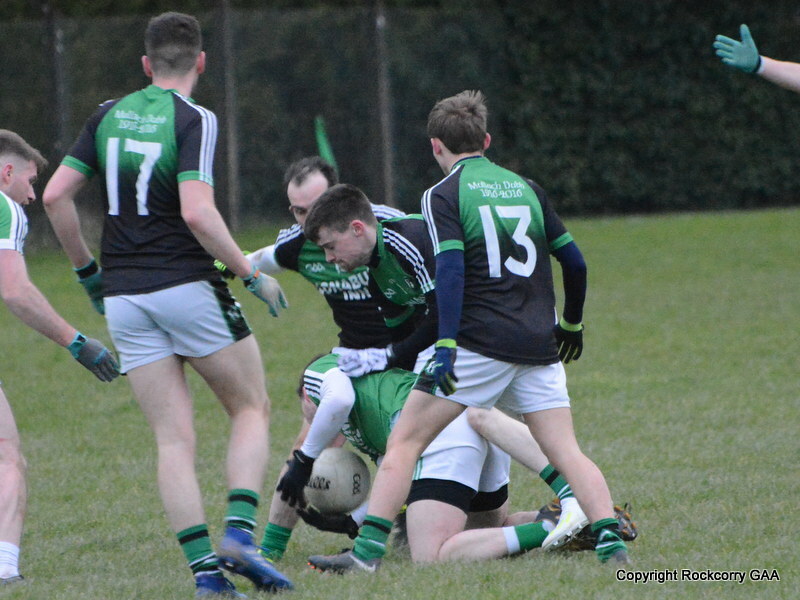 Our under 14 footballers travelled to Killeevan, on Saturday 31st May, to play St. Tiarnach Sarsfields in the Gerry’s Prepared Veg division 4 league campaign and were forced to dig very deep in this highly exciting and thrilling encounter. 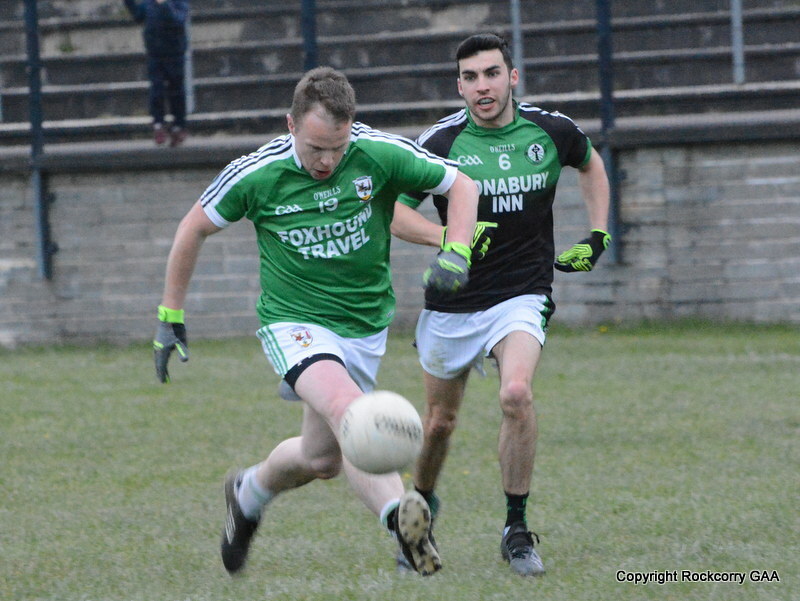 Despite a slight hiccup in the second quarter all players played their part in providing a top-class entertaining match that ended St. Tiarnach Sarsfields 6-10 Rockcorry 5-17. The game was played in glorious sunshine on a perfect sod and we started the match brightly with all guns blazing and raced into an early 1-7 to 0-0 lead. 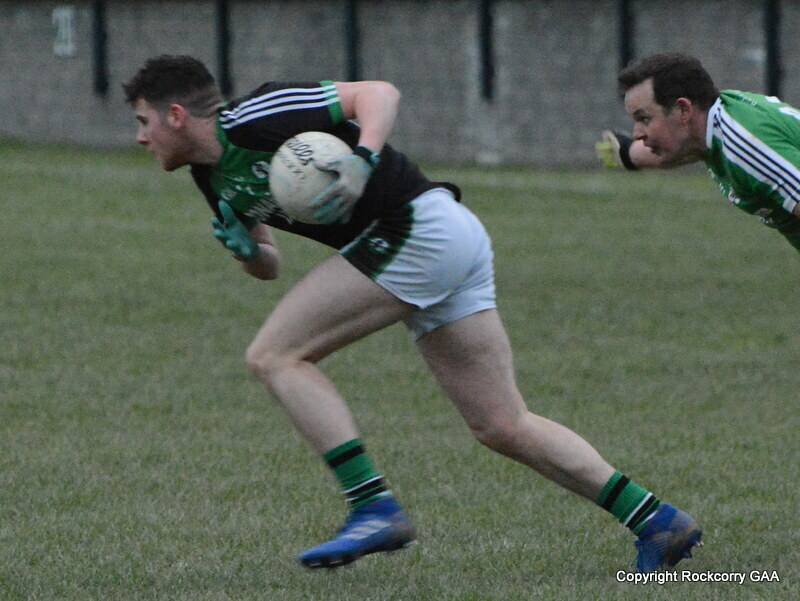 With such a comfortable lead the lads appeared to take their foot of the pedal which allowed St. Tiarnach Sarsfields to get to grips with the game and they took their scoring opportunities and when the whistle blew after the first fifteen minutes the score-board showed 1-2 to 1-7. We struggled to make an impression during the second period as St. Tiarnach Sarsfields began the second half on the front foot and totally dominated proceedings playing impressive football and notched over some remarkable scores and quickly overturned a five point deficit into a six point advantage leading 4-6 to 1-9. 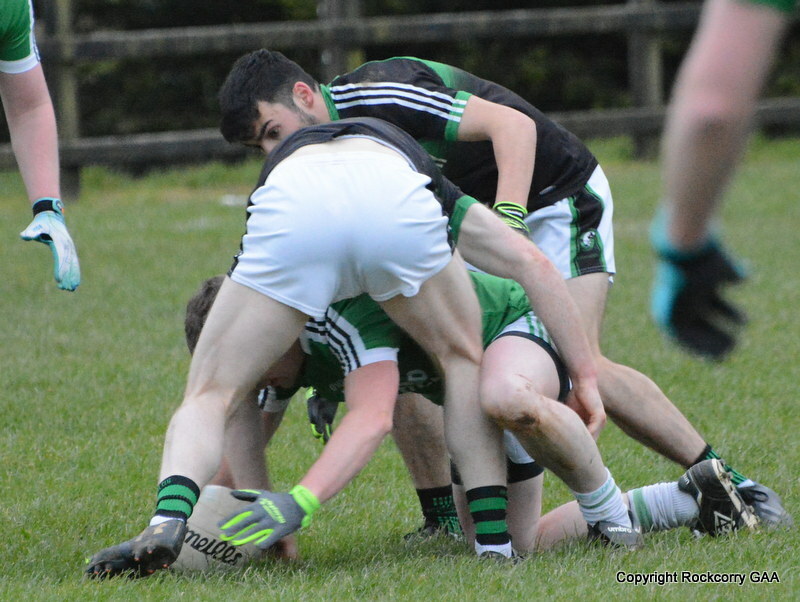 I imagine there was quite a strong pep talk during the interval because all through the third quarter we grabbed a hold of the game and after an absorbing period we held a three point advantage going into the final quarter as the score-board showed St. Tiarnach Sarsfields 4-8 Rockcorry 3-14. The final period was an epic ding-dong battle from start to finish with very little separating the sides in what was a terrific contest. 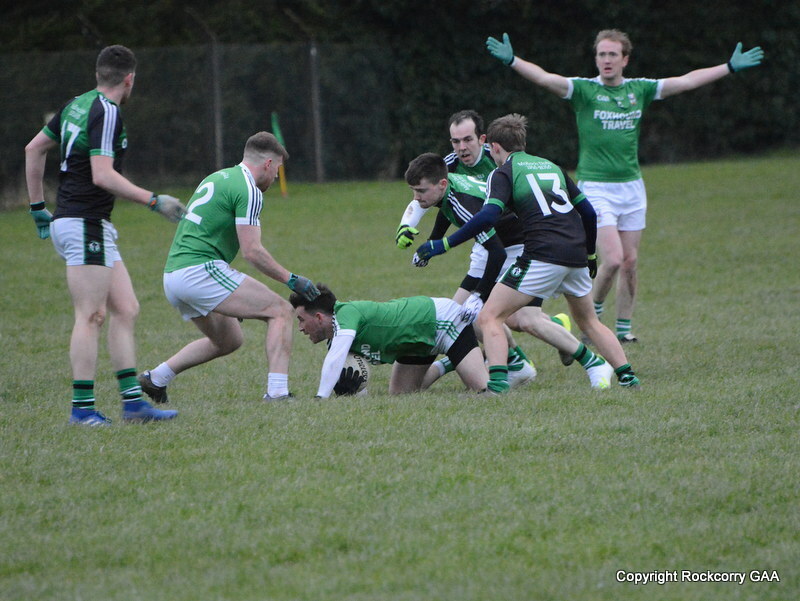 Thankfully, the lads remained strong-willed and worked extremely hard for each other and got their noses in front when it counted to emerge with the spoils on a final score-line St. Tiarnach Sarsfields 6-10 Rockcorry 5-17. Team: Darragh Dillon, Conor Clerkin, Dylan McCollum, Ryan Lynch, Caolan McPhillips, Pauric O’Brien, Shane Greenan, Gerry Larmer, Kyle Brannigan, Oisin Lynch, Stephen Nesbitt, Ryan Carroll, Josh Brannigan.